In an ideal world, every apartment, house, or studio would have a restaurant-sized kitchen where one could boundlessly explore their culinary creativity. It would come stocked with all of the appliances needed, along with specialty items like a wood-fired grill, stone oven, and even a deep fryer. In actuality, most of us will never seem to have enough space in our kitchens, and some of us might even have to make do in a tiny kitchen. While it might seem impossible to churn out delicious meals when you only have a small corner to work in, if you’re creative, you can create huge flavor in even the tiniest kitchen. Here are a few tips to help you get the most out of a small kitchen. Benchtop clutter will only make your kitchen feel smaller, and with already limited space to prep and work, you need to maximize it as much as possible. A common cause of clutter is having an assortment of appliances spread out, taking up precious space. To combat this, look into appliances that can do more than one thing. 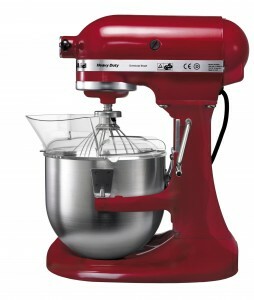 For example, stand mixers with attachments can do everything from mix dough to grind meat and even stuff ravioli. There are also powerful blenders that can juice and crush ice just as well. With multi-use appliances, you can save benchtop space and do more with less tools as you test out new recipes. To get the most out of a smaller space, you should try doing more with less. Look into a variety of one-pan recipes that keep you from breaking out every bread pan, cookie sheet, and skillet you own for a meal. This will help keep the sink from piling up with dirty dishes, and if you use less you’ll also have fewer items you need to store. You can find a number of quality one-pan recipes online—you’ll be surprised just how much you can do with only one or two pans. The best part is that you won’t have to compromise on your creativity in the kitchen, and as a bonus you’ll also have less to clean up after the meal. Having a small kitchen means that you don’t have the luxury of a large pantry, extensive benchtop space, or cabinets that span across the walls. But you shouldn’t let your limited storage space limit your creativity. Instead, choose appliances like blenders that fit snugly in small areas to maximize your storage. In addition, only invest in quality appliances that will provide a high lifetime value for you, meaning they’ll prove useful on a regular basis, meal after meal. You should also strategically plan your grocery shopping trips and only buy products once you’re out rather than stockpiling if you’re low on storage space. Also consider installing shelves or more storage if possible. Cooking in a small kitchen might seem limiting and frustrating at first, but if you get as creative as you do with your recipes, you can do a lot with only a few select appliances and a small benchtop. KitchenAid® has stood by at-home chefs and commercial cooks alike since 1919 by providing innovative culinary tools that do more and allow users to explore their creativity in the kitchen. The company is most well-known for their first product—the iconic KitchenAid® Stand Mixer—but over the years they’ve expanded into other product ranges including toasters, blenders, and even a premium electric kettle collection. They make products that are built to last. Whatever your culinary style is, you can count on KitchenAid® products to help you get more done in the kitchen, one meal at a time.